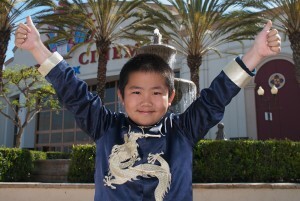 Click on the above biography to read 10-year-old award-winning film critic, artist, budding filmmaker/animator Perry Chen’s major accomplishments, awards, professional associations, local, national, and international coverage, including photos with renowned filmmakers. 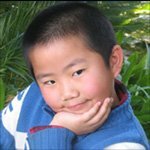 At 10 years old, Perry Chen is the youngest award-winning child film critic, Annie Awards presenter, artist, TV personality, budding filmmaker/animator, and radio talk show host of “Perry Previews the Movies” on www.wsRadio.com. Perry’s debut on CBS Evening News with Katie Couric in 2009 made him a national sensation. He has been featured extensively on local, national, and international media, including NPR, Fox, KUSI, CW channel 6 San Diego Living, San Diego Union Tribune, San Diego Family Magazine, San Diego Magazine, SDNN, Art Rocks! radio, The China Press, World Journal, etc. He reviews movies on multi-media, including TV, radio, newspaper, and online. He has interviewed many Oscar and Annie-winning filmmakers at film festivals, movie premieres and press junket. 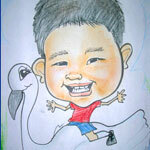 Perry won an award for his movie review column on We Chinese newspaper in January 2010, and two art awards. Perry is becoming a filmmaker & animator, recently selected by Oscar-nominated animator/ filmmaker Bill Plympton and director Kevin Sean Michaels to be the sole animator for their next animation short about the Holocaust through the eyes of a young girl, Ingrid Pitt who survived it. Perry Chen’s new Webseries “Perry’s Previews” is slated to be launched in June 2010, in collaboration with Mental Eclectic, a San Diego-based film production company. The Webseries shows an intimate, behind-the-scenes look into Perry’s experience and life as a renowned child film critic, budding filmmaker, and a 4th-grader in elementary school. Stay tuned for updates. Perry reviews films on a kids & family-friendly 1-5 starfish rating system, 5 being the best. His reviews are available on his website. Perry invites his fans and friends to sign up on his website to receive FREE press screening passes, prizes, and more: www.perryspreviews.com.